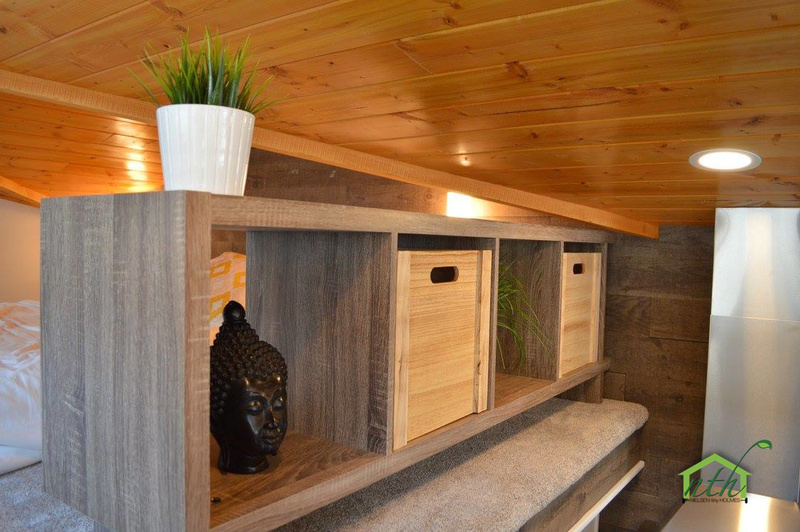 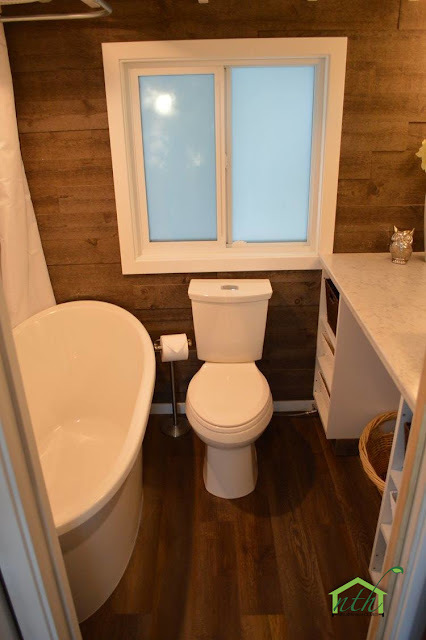 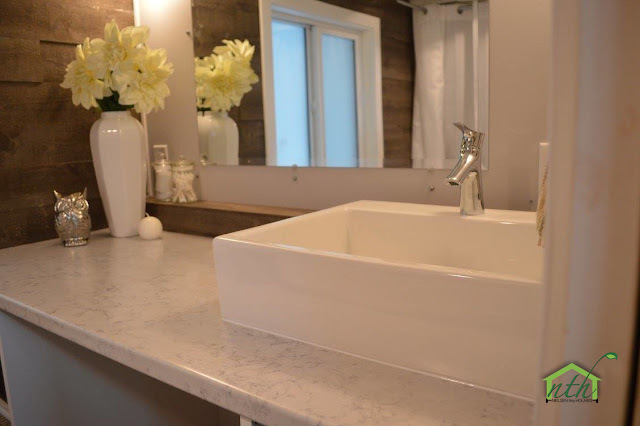 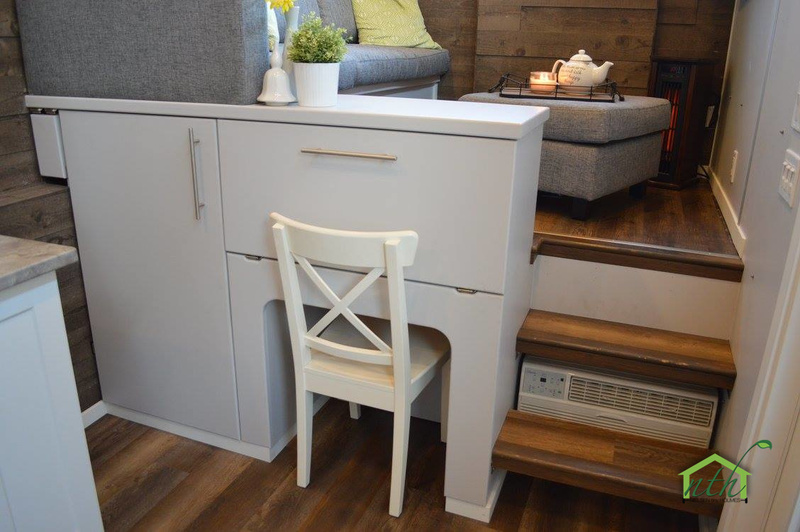 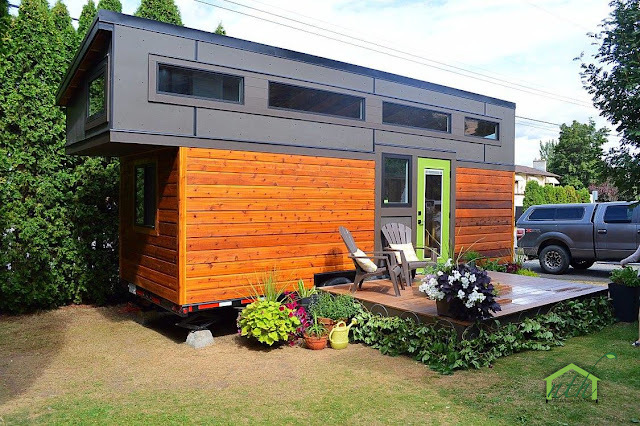 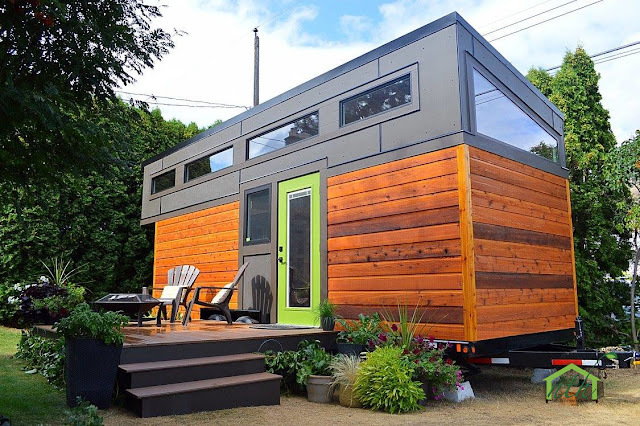 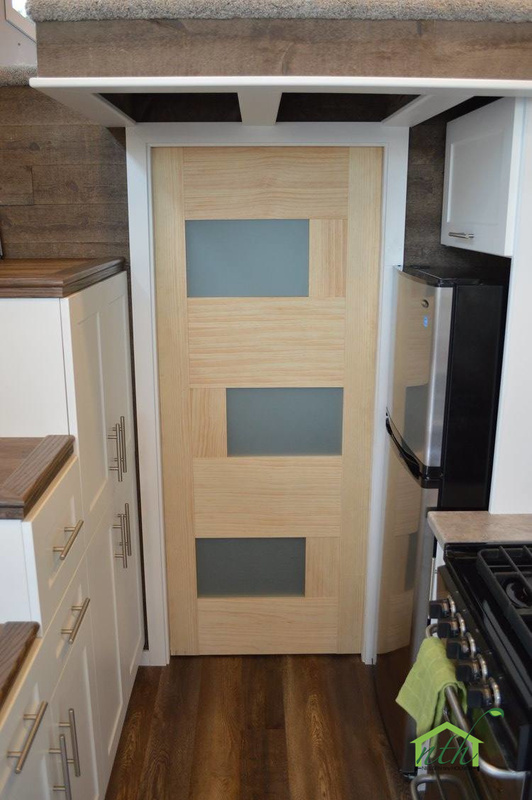 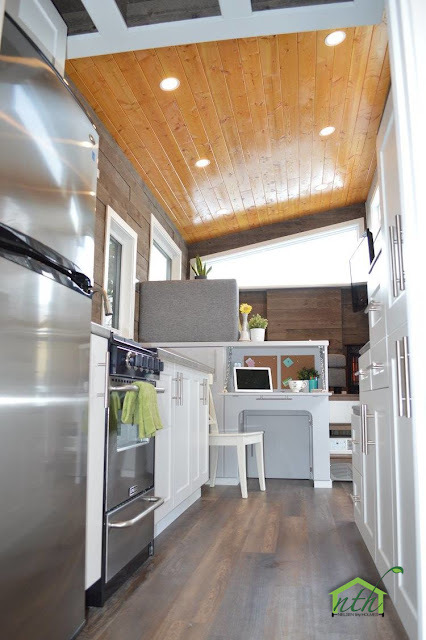 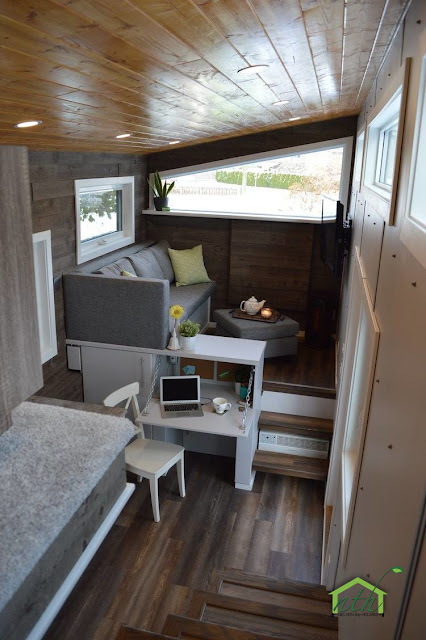 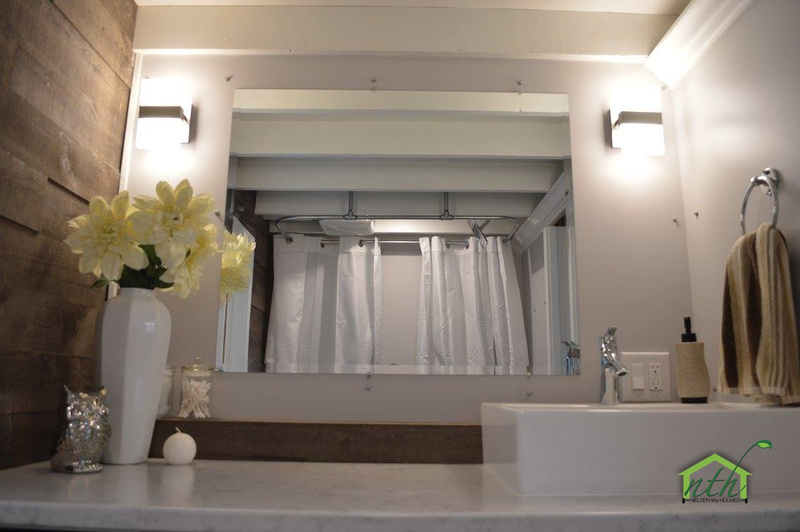 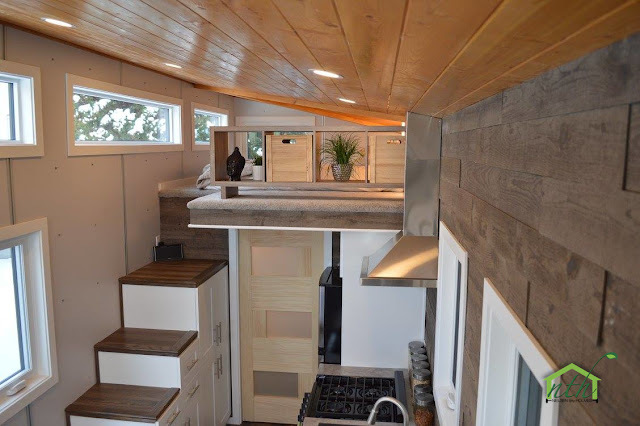 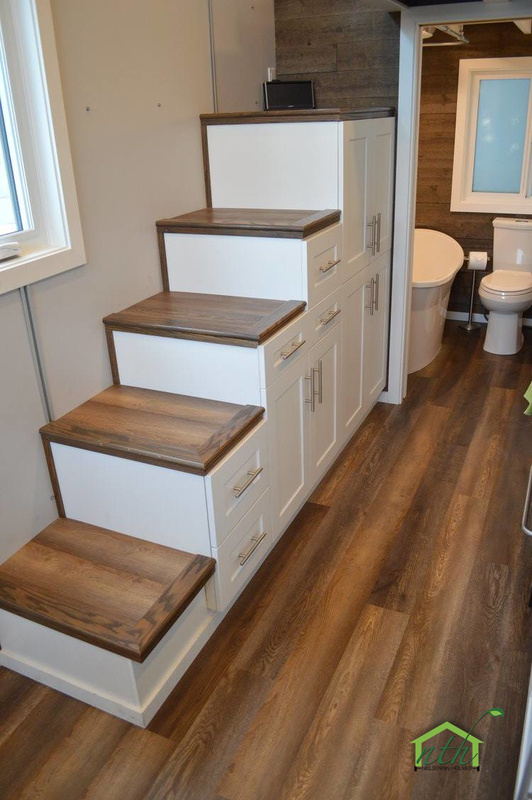 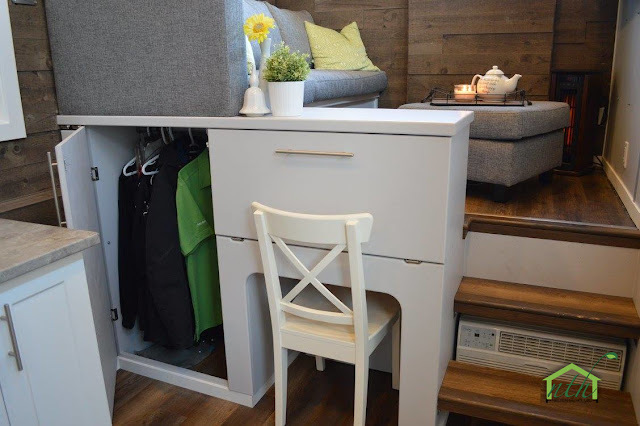 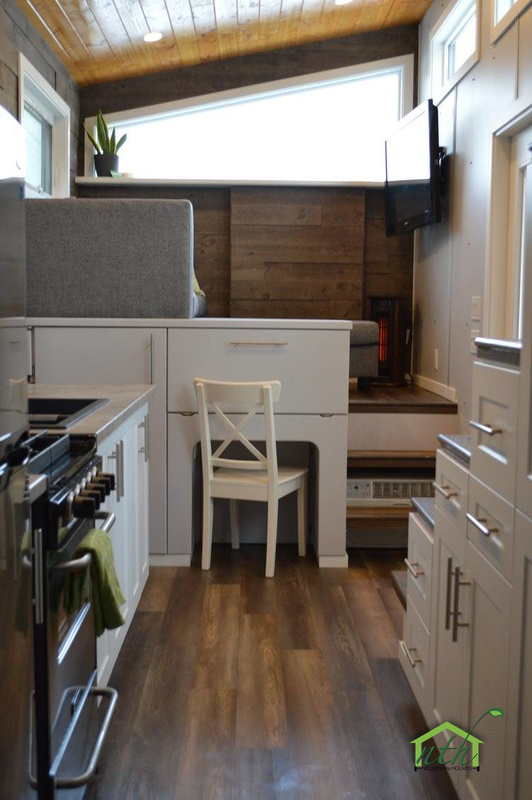 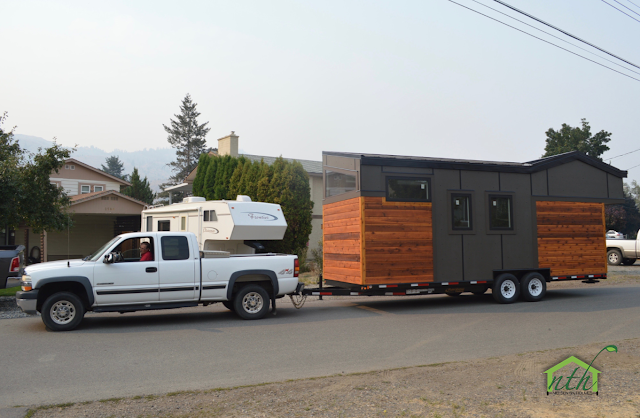 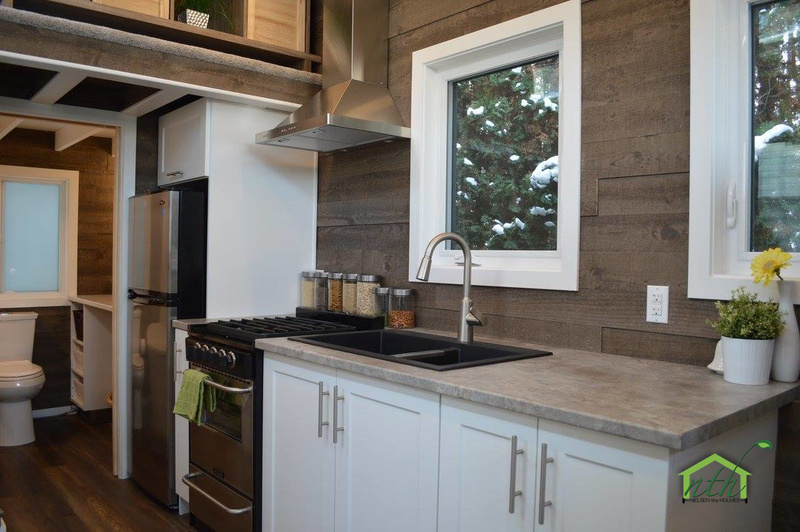 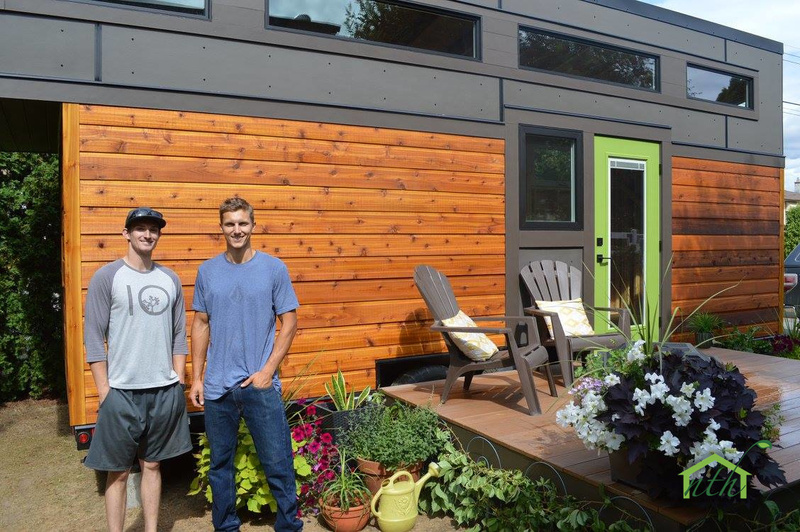 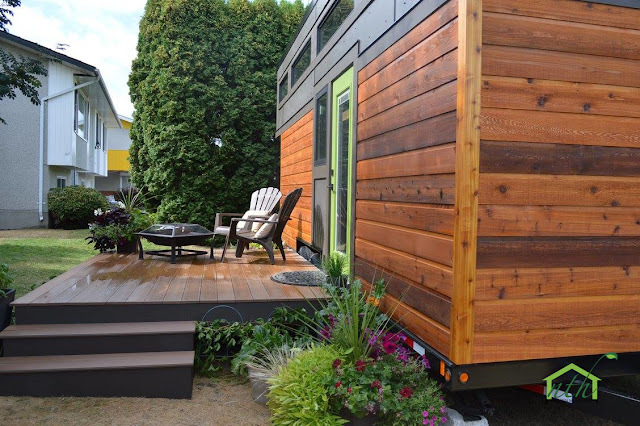 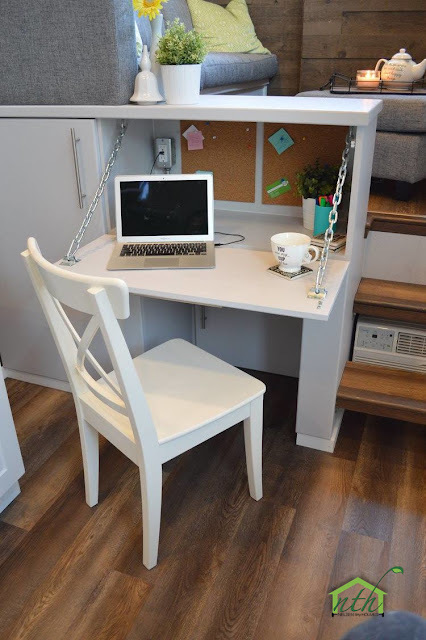 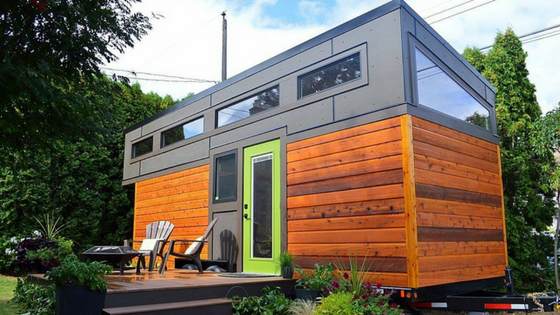 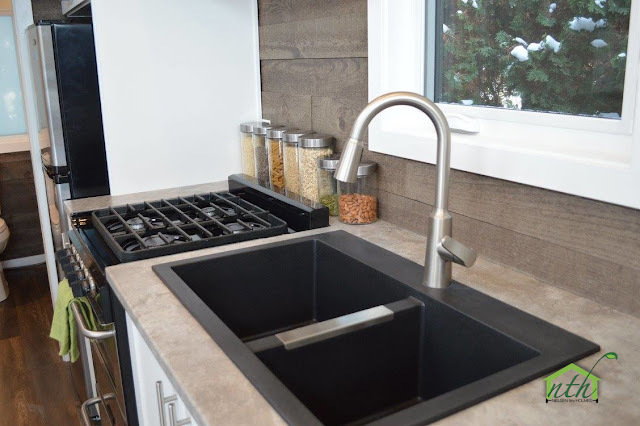 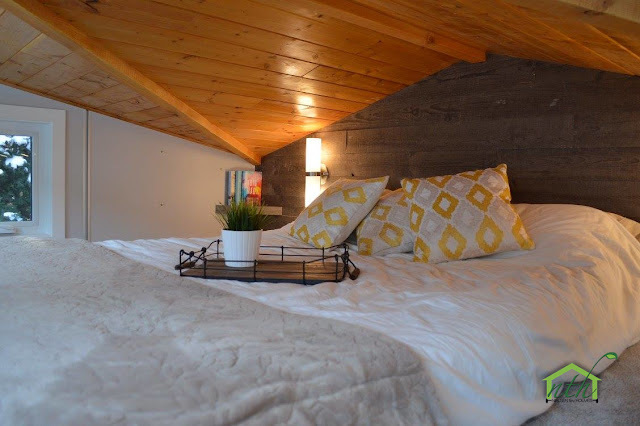 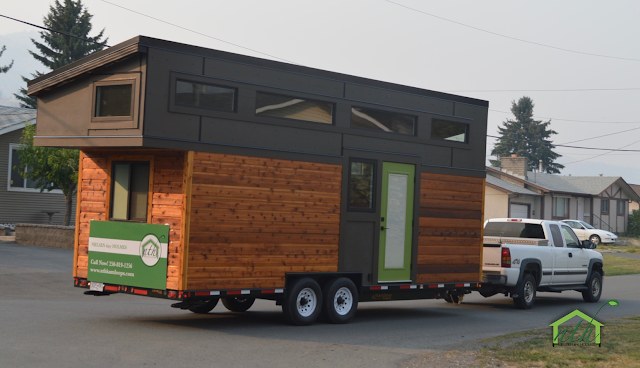 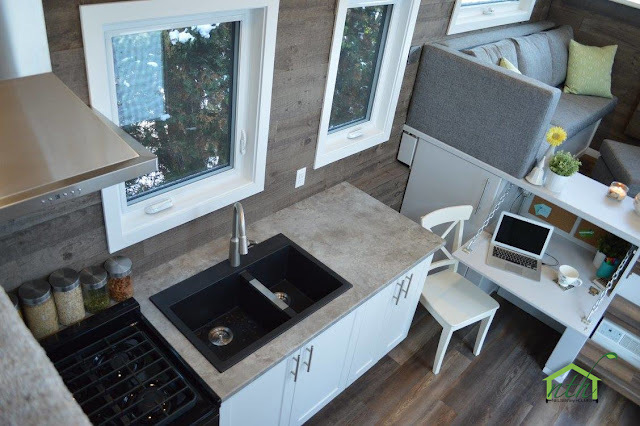 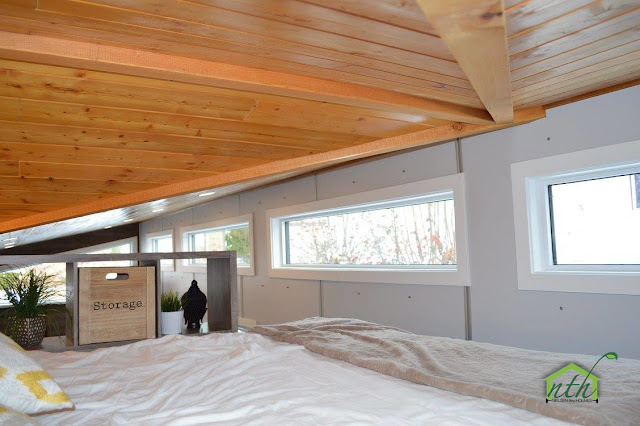 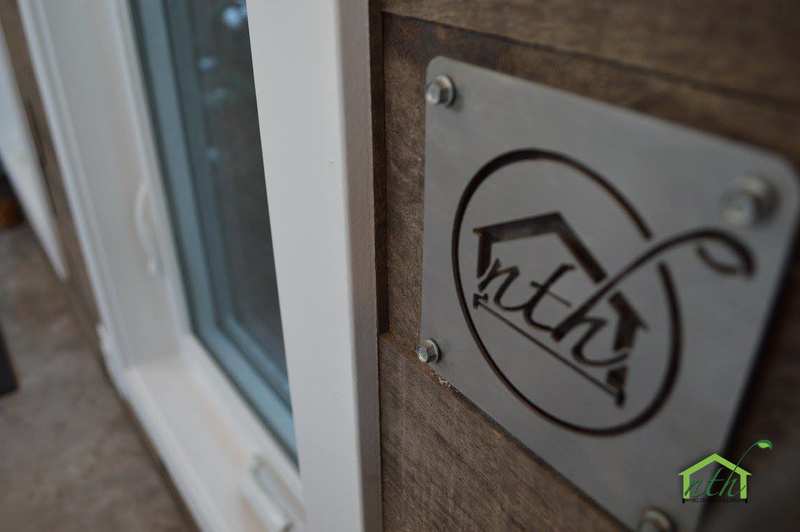 From Nielsen Tiny Homes, a builder based in Kamloops, British Columbia, is this beautiful modern/rustic tiny house. Named the "Pursuit", the home is built onto a 24' Canadian-made trailer with a wood frame, and spray foam and fibre glass insulation. Its exterior is clad in cedar siding with hardie board and a prolock metal roof. 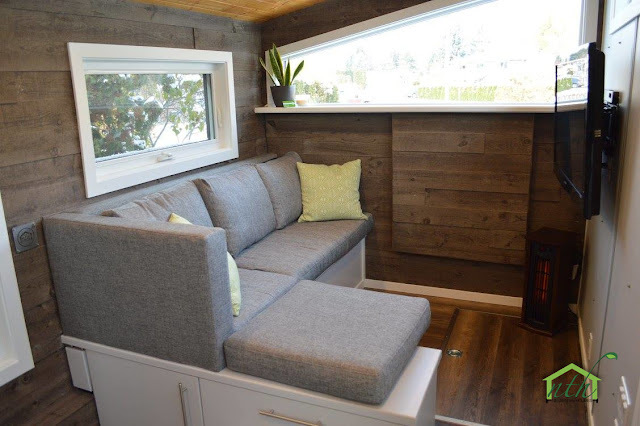 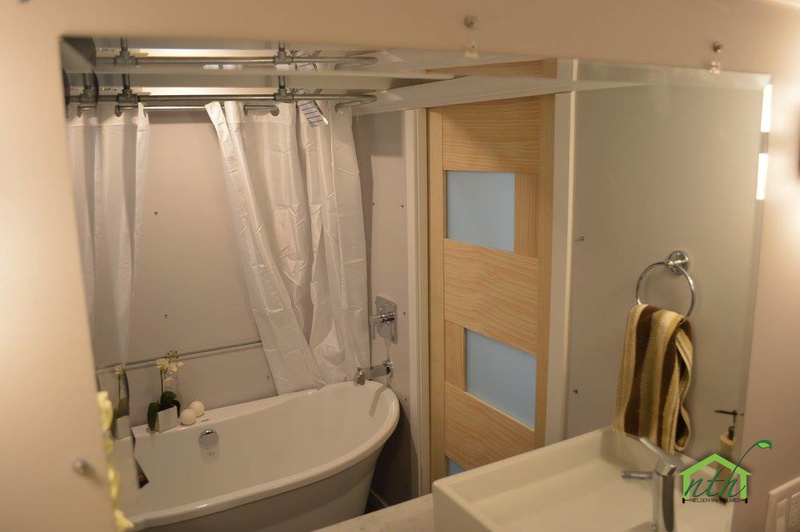 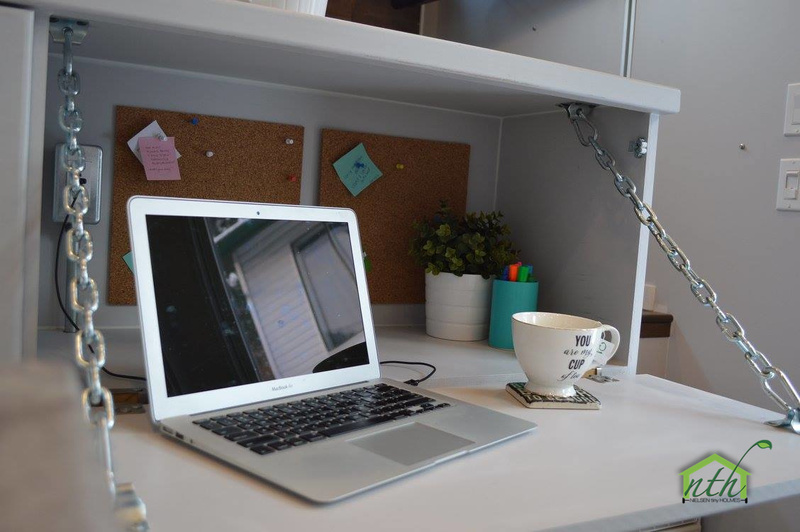 Inside the Pursuit is a bright and beautiful interior with 280 sq ft of space. 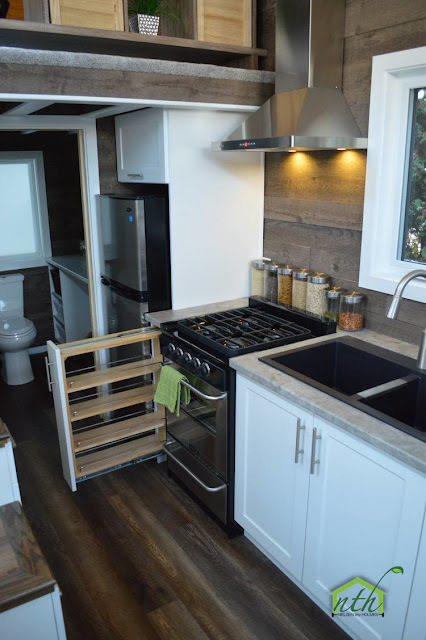 The home's galley kitchen features custom pantry staircase and a fridge. 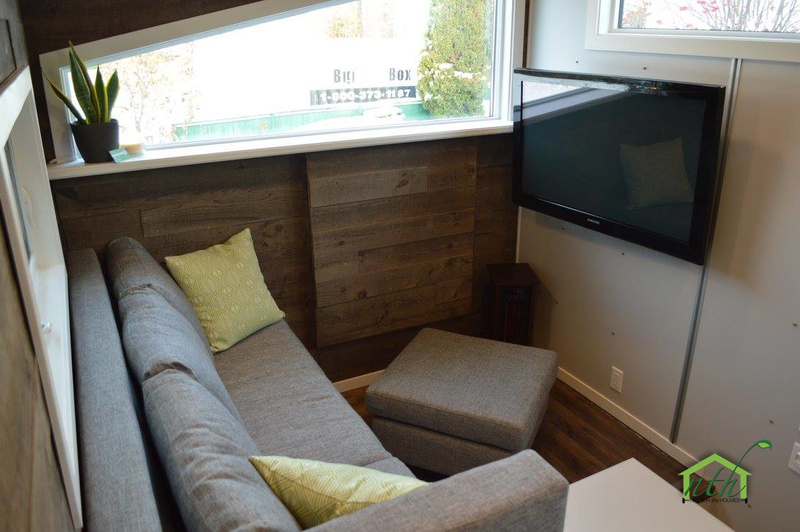 The living room is raised, which allows room for storage underneath. 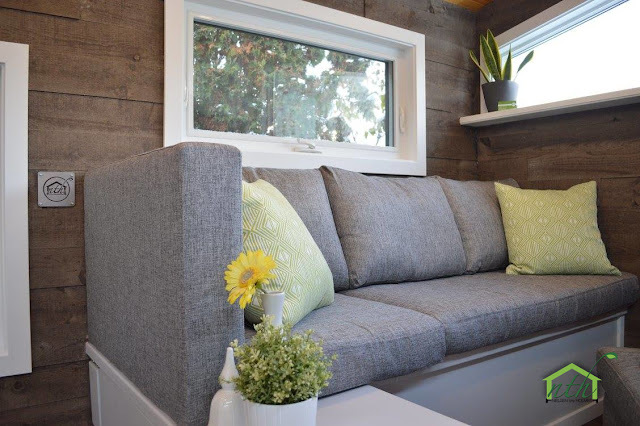 There's also a built-in sectional sofa that can be transformed into a bed for guests! 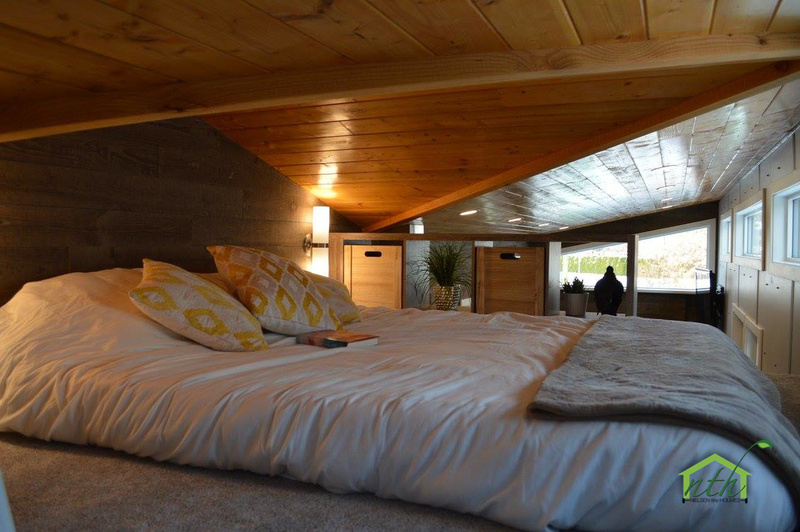 Also included in the home is a loft bedroom with plush carpets and room for a queen-sized bed. 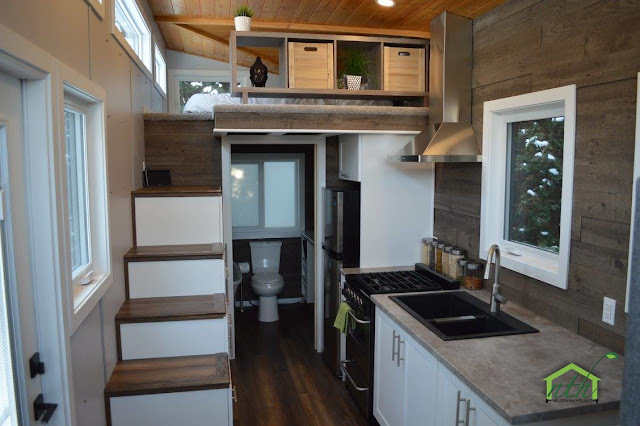 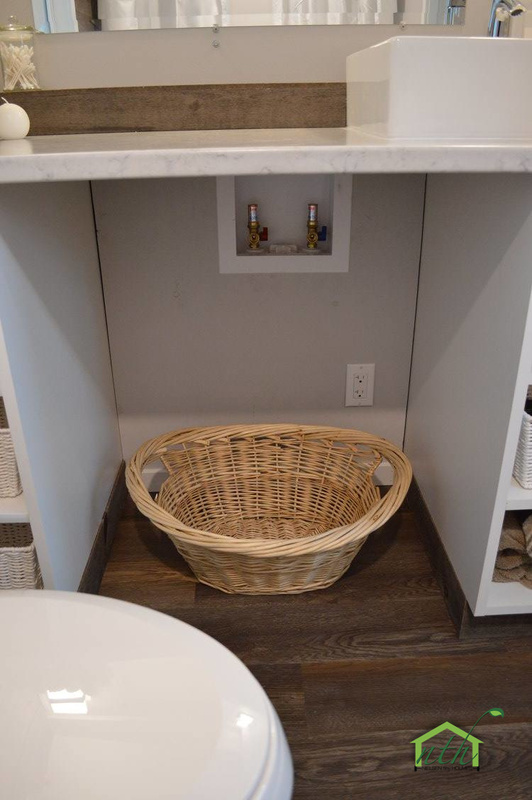 There's even a full bathroom with a tub, an outdoor shower, solar hookups and laundry hookups. The Pursuit's sale price is $110,000 CAD (around $86,587 USD) but is currently offered at a discounted price of $97,000 ($76,354 USD) if ordered before the end of the year. Contact Nielsen Tiny Homes here for any further info and/or inquiries.